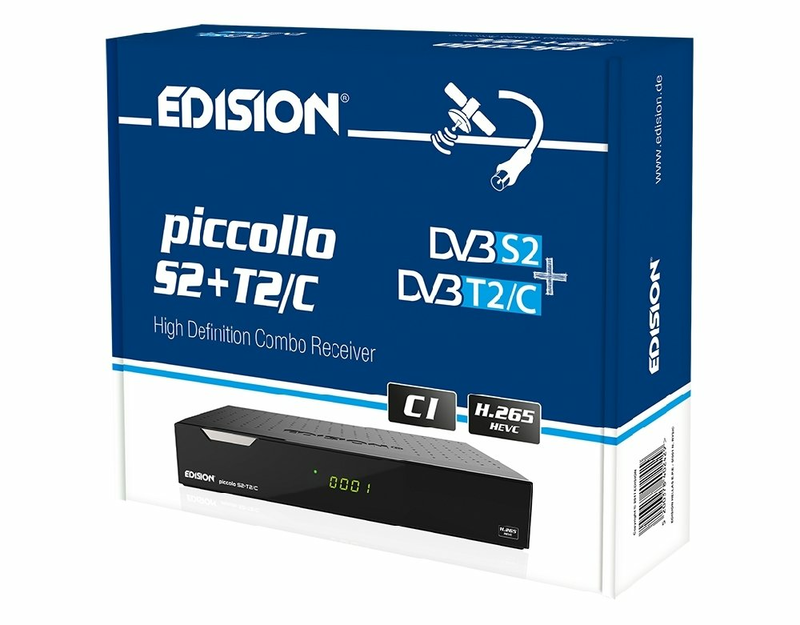 Piccollo 3in1 Plus CI HEVC is the new H.265 Full HD Combo receiver from Edison. AVAILABLE FROM NOVEMBER IN H265 (HEVC) VERSION ! 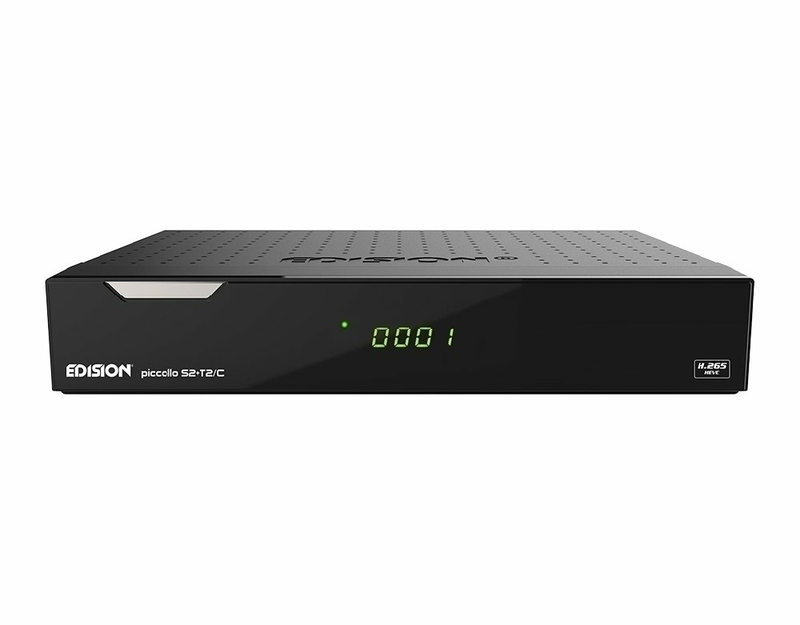 It features two tuners, one for DVB-S and DVB-S2 satellite channels and a second one for DVB-T and DVB-T2 terrestrial or DVB-C for hybrids. 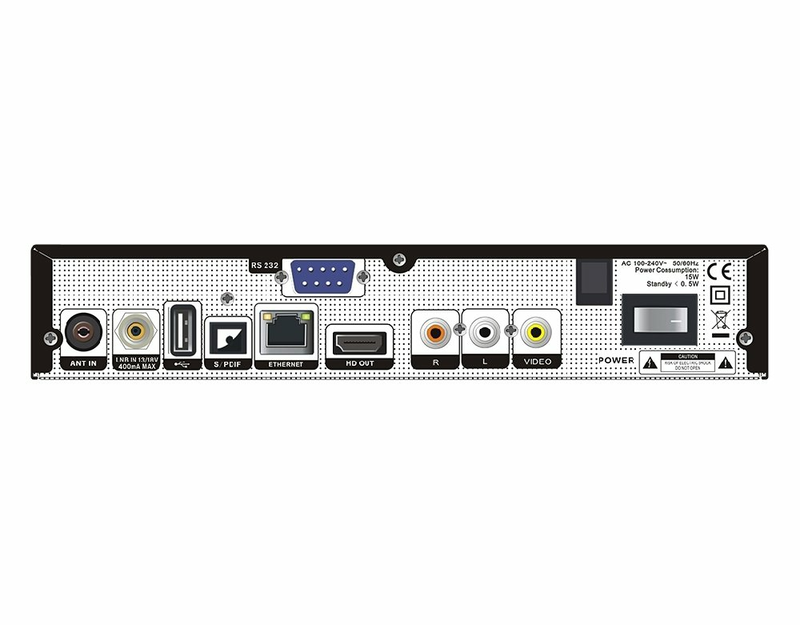 The new generation ALI processor provides incredible speed in the scrolling menu modern tables as well as 6000 through the channel list. The new embedded CI provides compatibility with all card and encryption modes, currently available in the market. Last but not least, it's applications as well as the deluxe IR remote control, made of new age materials and design, will give you countless hours of fun and enjoyment. 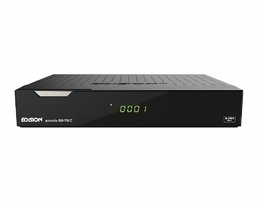 -- Type: Digital Satellite receiver DVB-S2 & DVB-T2(H.265) / DVB-C Hybrid (COMBO) Full HD.